Looking for flexible project management training and a digital project management course online? You’re in luck! 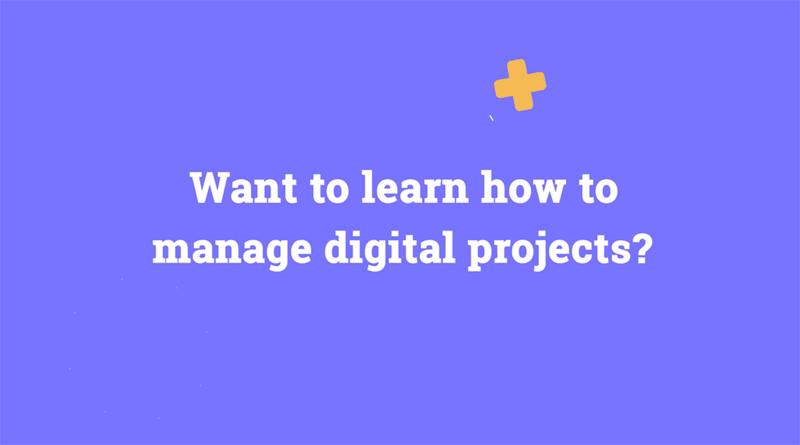 The DPM School is an online digital project management course, taught by digital PM experts, to provide relevant project management training for people who lead teams and deliver projects in the digital world. Become confident in all areas of digital project management. By tailoring an agile approach to digital projects, you’ll gain the skills to deliver projects on time and in budget, from happy teams to happy clients. Choose a basic self-paced option, or dive into more interactive, hands-on training—we’ve designed this resource-packed online course to adapt to your learning goals and schedule. Learn by absorbing, discussing, practicing & helping others. Get a solid foundation in digital project management and learn all the tips and tricks. Learn what theory means in real life. Learn from and support your peers. Three 1:1 coaching sessions with one of our resident DPM experts. The course is divided into 7 themes, each with videos, slides, and exercises to put into practice what you’ve learnt. Trying to land (or just landed) your first proper project management role. Looking to boost your skills & confidence in managing complex digital projects. A seasoned project manager who wants to refine your approach. Looking for some formal, but fun, project management training. Ben brings over 15 years of experience in both strategic thinking and tactical implementation from a career at top digital agencies including FCV, Dare, Wunderman, DLKW Lowe and DDB. He’s been fortunate enough to work across verticals including transit, utilities, FMCG, consumer electronics, eCommerce, automotive, financial services, public sector, and retail brands. Ben’s a Certified Scrum Master, PRINCE2 Practitioner and founder of the digital project management blog, The Digital Project Manager. Learn through their experiences what theory means in real-life. Alexa Huston is a project manager at Crema, working with funded startup and enterprise clients to prototype, test, and build their web and mobile applications. When she’s not at their KC office, she can be found at the gym working on getting stronger, in the kitchen dreaming up something delicious, or drumming up plans for upcoming travel. Leading FCV’s team of project managers and business analysts, Maik ensures that all initiatives are delivered on time and on budget, with a strong focus on quality and client satisfaction. His diverse background in project management has allowed him to gain valuable insights, delivering projects across a variety of digital platforms including websites, mobile apps, healthcare, video game platforms, and software solutions. With international experience, Maik previously led the full project lifecycle for major global clients such as Volkswagen, Sony, Microsoft, and Nintendo. He is known for his dedication to excellence; consistently providing sound direction and aligning our internal team to exceed client expectations. At FCV, Maik has overseen the delivery of digital transformation projects for clients such as BC Pension Corporation, Sound Transit, BC Assessment, Fraser Health and the Insurance Corporation of BC (ICBC). Maik holds a Diplom- Kaufmann (Master) in Business from University of Siegen in Germany. Find your friends and grab a deal! We’re happy to offer a 10% discount for groups with 5 or more attendees. Contact us for more information! For the Standard and Extended courses, you can spread the course fees across three payments. Final payment is due before the end of the course. Contact us for more details! If your organization is paying for your course and you need an invoice, we can invoice them directly. Simply apply below, and contact us to confirm the billing details.